CROCHET HAT PATTERN - Instant download not finished item. 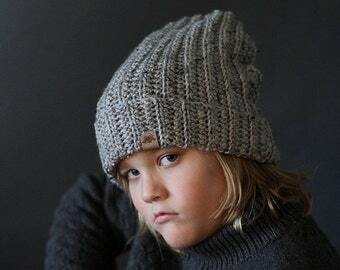 The Burnaby slouchy hat boasts a unique texture from top to bottom. 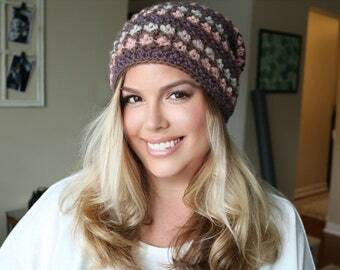 Made from worsted weight yarn it is the perfect slouchy hat for all season. Easy to wear for men, women and children. 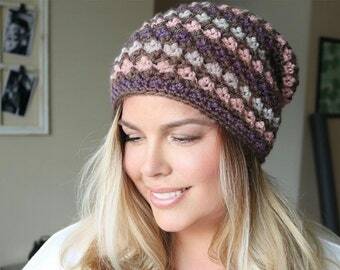 The texture is achieved using a combination of basic stitches making this a great hat even for beginners. The Burnaby pattern is so textured but still really squishy when worked up in a soft yarn. My first was in a Malabrigo and I loved it. The slouch is perfect and it was a nice change of pace to work a rectangle first - which makes the pattern one of those "no brainer" patterns that you can mindlessly work without having to check the pattern for every row. Really love this pattern :) Thank you!